I use honey for a LOT of health-related things. Honey is one of the best all-around home remedies you need to keep on hand in your home. Sore throat? Cough? Skin issue? Infection? Bug bites? There are SO many things you can use honey as a remedy for! Here is info for you about the natural healing powers of honey and how I use it in my life. I hope to inspire you to try this easy and versatile sweet and popular remedy in a variety of ways too. Besides some great honey remedies and recipes, have you ever thought about how bees actually make honey? I'll explain that here, too! FTC Disclosure: There are affiliate links scattered throughout this article. If you click through and make any kind of purchase, I may receive a small commission at no extra cost to you. Full Disclosures Here. But First: What is Honey and Where Does it Come From? Honey is a complex and lovely golden liquid. It's made by bees, as we all know, and it's not an easy thing these industrious bees do. To keep a very long explanation simple, bees make honey from the nectar they find in flowers. They have something called a "honey stomach" where they partially digest the nectar before depositing it into the comb. Once the bees have done all they need to do to the partially digested nectar, they seal it into the comb using beeswax made from a chamber in their abdomens. Pretty cool, right? Bees gather pollen and nectar from flowers, and these are the raw ingredients for the honey they make. Some folks like to keep the honey-making process REALLY simple and call it "bee vomit." But this is just not the case, since the process has so many steps. That's just too adolescent an answer, in my opinion. You can find out more specifics in this article from Two Beekeepers. What is in Honey That Makes it So Healthy and Good for You? Like the process of how honey is made, the composition of honey is just as complicated! It's filled with natural enzymes, yeasts, loads of minerals, amino acids, water, and of course different kinds of sugars. The glycemic load of honey is surprisingly low for a sugar. In fact, it's less than that of a banana! Crazy, right? Honey also contains about 17.2% water. It turns out, the bees know exactly when to seal the comb with the beeswax, as they fan the nectar until it has evaporated to just the right amount. If there is too much water, it will ferment. If there is too little water in the honey, it will begin to crystallize. The perfect combination of all of these components creates a viscous healing liquid that has no rival! If you want to know more details about what is in honey, the article by Two Beekeepers is excellent. Bees making honey in the comb. Honey is the perfect medium for creating a powerful natural decongestant that really works. This is because it can be used as a menstruum to help extract the powerful chemicals in the herbs used. This sinus inflammation relieving decongestant packs not only the healing properties of honey, but combines with plant and spice powers for the best decongestant ever. In fact, I have friends ask me to make this for them many times each year---but it's so easy, you can do it yourself! The thing about using honey is that honey contains antibacterial properties. This alone gives you a reason to buy that raw honey and use it! Here is the recipe for my decongestant made with honey and spices. **This is the BEST decongestant I’ve ever used in my life. One of the steps in making this effective and easy natural decongestant using honey. You'll enjoy my latest eBook: Natural Cold & Flu Care. It's 65 pages of remedies & recipes, plus herbal information to keep you healthy and get you better faster! This is not really a healing action....except that honey can help with skin irritations and even acne. Yep! Crazy, right? It’s pretty amazing how soft your face feels after washing with honey. Don’t believe me? Give it a try! I was skeptical too….until I gave it a go. To wash your face, just take a tablespoon of honey, and massage it onto wet skin for a few minutes. Rinse well! To make this wash even more powerful, add a bit of cinnamon to the honey. The cinnamon helps increase circulation and also provides some exfoliation. To make a facial mask, just apply some honey (with cinnamon if you like) thinly to your face, and allow it to sit for about 10 minutes or so. Rinse well with warm water. Honey is excellent for coating inflamed and swollen throats caused by illness or allergies. If you combine it with other herbs that have antibacterial and healing properties, you'll have a wonderful sore throat remedy. 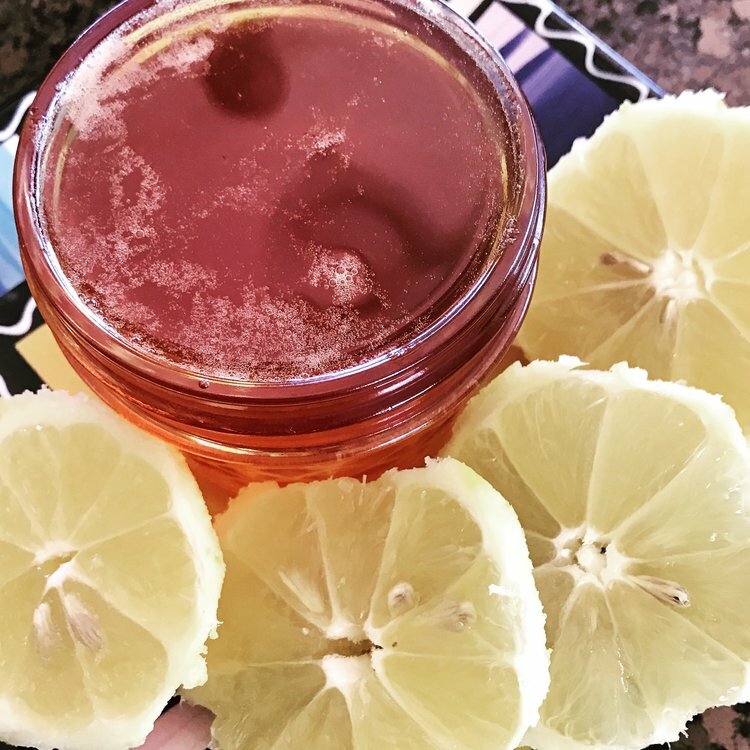 Here's how to make lemon infused honey, and once you try this, you'll want to have it on hand all the time! You can also infuse your honey with Thyme, for an even more antibacterial throat soother. Just take a teaspoon once to several times a day and enjoy! You can also add it to herbal tea or warm milk. Lemon infused honey is very effective for soothing sore throats. Find out how to make it! There are a couple ways using raw honey (not heat treated or pasteurized) can boost your immune system. The first way is through the components of the plant nectars the bees use to make the honey. These contain compounds that help keep us healthy! This is because the chemicals from the plants are naturally included in the bees’ honey, just like infusing the herbs. The second way is that a special bacteria called Lactobacillus kunkeei is found in the raw honey of honey bees. This bacteria actually kills off other strains of bad bacterias. This is a very simple explanation, but you can find out more in this detailed article from GreenMedInfo. Honey has been used to help heal wounds for thousands of years! In fact, there has been a great deal of clinical research done on honey as a wound dressing and for healing wounds that proves honey is definitely an exceptional natural remedy. Honey is antibacterial, anti-inflammatory, and immune-stimulating. Here is some of the clinical evidence for using honey as an effective wound dressing in this article from Wounds Research. You might also be interested in how to stop bleeding fast, which discusses natural hemostatics (blood clotting agents). You can apply honey directly on the skin tissue all by itself. Just use a thin amount and let it sit for 30 minutes before washing off gently. You can also apply a bandage over the top if it is a small area. Another way to use honey for sunburn or other skin issues is to combine it with other proven ingredients such as aloe vera gel, oatmeal, or even milk. You can also add it to a carrier oil or use it in a salve. Here's a recipe for a skin-soothing salve that's easy to make and includes honey and oatmeal. It’s healing, soothing, and works great! Oh, those yucky coughs! Honey is effective at helping to remedy and soothe a troublesome cough. In fact, in one study, children aged two and older were given two teaspoons of honey at bedtime. Honey had the same benefit as over the counter medications that contain DM (dextromethorphan) in reducing cough at night. It also helped keep the kids sleep—-and therefore get better faster! I don’t know about you, but I’d rather give my kids some honey instead of chemicals with side effects. **Just be sure you don’t give raw honey to children under the age of 12 months old. Here is a recipe for a powerful, easy, and soothing cough syrup made with honey and onions. Yep. Onions. And surprisingly, this stuff tastes delicious and is strangely addictive! Yum! Plus, it really works! You can take it as needed too. Honey makes an exceptional cough syrup when combined with the right ingredients. Here's how I make our own cough syrup with just two ingredients. AND it works! I love honey. What would we do without our bees to create this heavenly natural syrup? I am so grateful for them. Besides being my favorite sweetener because it's so delicious, raw honey is incredibly healthy. Look at all these ways you can use honey to help heal illness and health problems. Honey is an incredible gift, food, and healing substance. NOTE: Also---Children under 12 months of age should not take raw honey. Always research before using natural remedies on babies and children. Do you have any favorite honey recipes and remedies? Please share with us in the comments! And---if you've ever wanted to give honey mead a try, you might enjoy this book, The Complete Guide to Crafting Honey Wine. P.S. If you haven't done so yet, I hope you'll sign up for our newsletter! You'll never miss a thing, and you’ll get access to the free password protected Resource Library when you do! You’ll love what’s inside and more is being added weekly! Disclaimer: I am not a medical doctor. The information in this article is for informational purposes only and not meant or implied to diagnose, treat, cure, or prevent any disease or illness. Please seek advice from a medical professional for health issues. These statements have not been evaluated by the FDA. 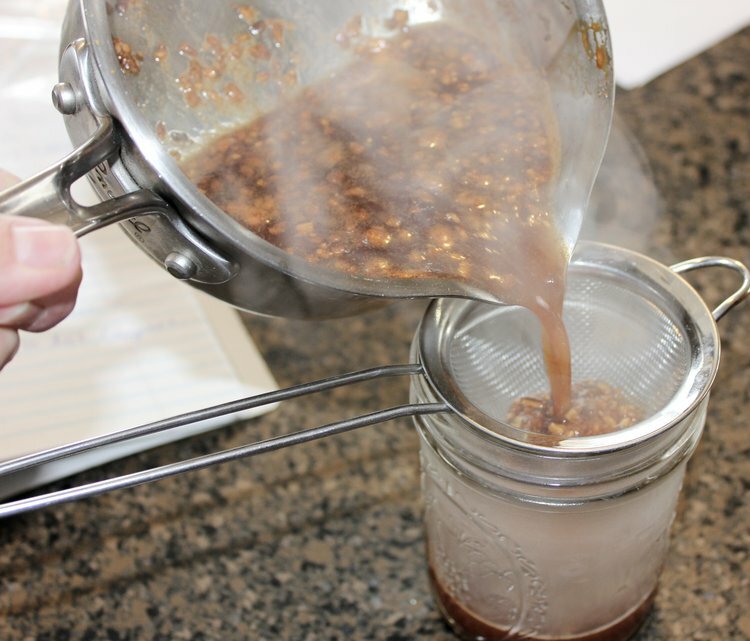 Dec 27 How to Make the BEST Natural Cough Syrup, Easy and Throat Soothing Too!